My internship with Thomson Consumer Electronics (TCE) gave me a lot of learning opportunities. One of the biggest learnings I had was around people. 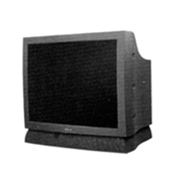 The assignment was to oversee the completion of rebuilding several hundred television sets. This was back in the day of picture tubes and rear projection TVs. The sets would be sold in discount shops across the country. The manufacturing facility was well known for its union and their insanity to horn-swaggle the company. The assignment typically takes 7-8 weeks. I was given a union crew and the production area was set up a good 1/4 mile from the nearest production area. The first week went bye with no problem. Then in the second week we started encountering hiccups in our production. The typical stuff. We didn’t have the parts we needed, there was no one to move the product for us and even some good old-fashioned infighting in the group. I pulled the team together and we discussed not having the parts we needed. I asked them how we should be producing the TVs. What sequence would work best? They commented they had never been asked for their ideas before. The team came up with a sequence based on their knowledge and a process to get the parts. Every afternoon, one of the employees and I would look at what we have completed and look at what was next on the schedule and determine what parts we would need. I would drive my car over the main plant, gather the parts with the employee and help her carry them back to my car. I addressed the issue with fighting employees as well. We had one-on-ones and worked through their issues of working together. Our production rate sky-rocketed. It was almost double what I was told we would be able to do based on past history. Then came the bombshell. One afternoon, a union steward showed up in my area and proceeded to yell at me in the middle of the production area so everyone could hear. Apparently, helping someone carry heavy boxes so they don’t get hurt and helping my employees move TVs is going to put the union out of a job. He was threatening to file a grievance against me. Being 21-years-old, I didn’t take too kindly to the yelling, especially in front of the employees. So, I proceeded to yell right back about how I will do whatever it takes to help my employees get the work done and he could….well you can use your imagination for the rest. It wasn’t 45 minutes later, my manager for this project was out there trying to cool me off and telling me to play the union game. I was shocked at how quickly he collapsed to the union. Ridiculous! Truly pissed me off. I told him that if he wanted me to stop then the union needs to stop delaying my work. My parents had always instilled in me to treat everyone with respect. And this was a moment where that lesson truly became ingrained in me forever. We finished the project in 4.5 weeks. Almost half the expected time. As a thank you, I gave them a half day “off” where we hung out in our production area and I bought pizza for the team. It really was something I will never forget. Today’s post is from Karen Wilhelm. Karen has inspired me to connect and learn more through blogging. It has been great communicating with Karen over the last few years. Her insights are always enlightening. This is part two of a three part series. We’ve seen in Part One of this article that a leader often has a preferential use of the task-oriented brain network, but we can also switch to the social neural domain. Can a leader use both domains at the same time? Apparently, that doesn’t work out so well. That results in treating people as things — objectifying them — and manipulating them to achieve some goal, whether we mean to or not. People naturally recognize the insincerity. The leader may mean well in assuming an action will benefit people, but without proper use of the DMN operating, it’s impossible to know for certain what they want or need. When people aren’t involved in that DMN-related decision interaction, they aren’t as accepting of a management action. The study’s authors have a couple of suggestions for training more versatile leaders. One is to use simulations for practicing switching. Another is to design career paths that alternate or split time between DMN creative endeavors like marketing or training others, and TPN activities like finance, IT, and quality assurance. In addition, Boyatzis says, management education should include more teamwork, service learning, internships and personal reflections on the impact of behavior and values on others. Matt Wrye: As a lean change agent, the switching between TPM and DPM happens routinely. I have had to develop training and put myself in the learner’s shoes trying to understand what they need. Then a few hours later switch modes and work on solving a problem using data. I would say that my natural tendency is TPN and I have had to learn more about DPM through the years. Chris Paulsen: It seems that most leadership roles require switching between TPM and DPM if they are to be done well. My natural tendency is definitely TPN and DPM takes more effort for me. The rotation between these two domains discussed in Part 1 may explain why being more people oriented seems to come easier on some occasions than others. Visit Karen’s Lean Reflections Blog for more interesting blogs. Decisions Don’t Start with Data. This was a post found on the Harvard Business Review Blog. This is another attempt to explain how marketers are the kings of the world telling us what we should buy and we are too stupid to know otherwise. We buy goods and services because we believe the stories marketers build around them: “A diamond is forever” (De Beers), “Real Beauty” (Dove), “Think different” (Apple), “Just do it” (Nike). That was my favorite excerpt from the post. Thanks marketers, because I wasn’t sure what running shoe I wanted but “Just Do It” has now made up my mind. The point I got from the post was that people don’t make decisions based on data, it is based on emotions. To influence human decision making, you have to get to the place where decisions are really made — in the unconscious mind, where emotions rule, and data is mostly absent. Yes, even the most savvy executives begin to make choices this way. They get an intent, or a desire, or a want in their unconscious minds, then decide to pursue it and act on that decision. Only after that do they become consciously aware of what they’ve decided and start to justify it with rational argument. While I do believe this is true. It does not mean it is right. Just because executives do this does not mean we should succumb to their ridiculous decisions and not present the data. I do believe we make decisions on data, whether it is consciously or subconsciously. Apple may say “Think Different”, but if their product is crap and is breaking all the time a person wouldn’t buy it. “A diamond is forever” doesn’t make me buy from DeBeers. It is there customer service and quality. There was some form of information that is driving the decision. I do agree with the author that when presenting a group with a new and possible radical idea that a person should approach his audience in a way that will get their attention. For some that may mean presenting straight data. For others, presenting a story or a “what’s in it for me?” point of view and weaving the data in. This isn’t about data and decision making. It is about knowing your audience and adjusting your approach to help meet the audience see your point of view. The term coach is thrown around a lot in a business setting. Too much in my opinion. Any time spent with someone giving advice or direction is called coaching nowadays. It sounds great when you say you spent time “coaching” someone. Coaching is more than giving advice. Coaching is an investment in time to really help them along. Think of any athletic coach you may have had. Basketball, football, tennis, golf, swimming, etc.. Did you ever spend 30 minutes with that person in a café getting advice on a rare occasion and end up calling them coach? Of course not. Why? Because coaching takes time. You have to spend time in the with the person in the environment you are coaching on and observe and make suggestions as you go along. Anything else is advice. There is a big difference between giving advice and coaching. Because of the time investment, a person can’t coach many people in the business environment. The best thing to do is focus on coaching a person or two. Don’t spread yourself thin as a coach because then no one wins. The learner doesn’t get your full attention and does not learn and grow nearly as much. The coach will never see the fruit of their labor come to fruition because the learner never reaches their full potential. Think about this before taking someone on as their coach. Are you going to be able to devote the time truly necessary to help them along? 2014 is now in full swing. Before 2013 is too far in the rear view mirror, I thought I would recap the Top 10 most viewed posts on Beyond Lean for 2013. New followers of the blog can use this as an opportunity to read posts they might have not seen in the past. While, long time followers can use this as an opportunity to re-read some of the top viewed posts. 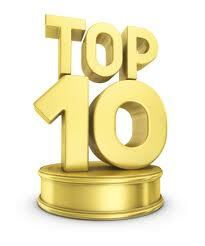 This post will count down the 10th thru 6th most viewed posts of 2013. Enjoy! 5. Making Leader Standard Work Visual (June 2011) – Previous Year Ranked #9 – An example of a visual board from a group I worked with. The board makes the tasks and if they were completed by the managers visual. 4. Don’t Over Complicate the Formula (October 2011) – Talks about simplifying formulas to get you directionally correct especially with calculating kanbans. 3. Need the Mental Toughness of a Navy SEAL (February 2012) – Previous Year Ranked #4 – Inspiration of a Navy SEAL got me thinking about the mental toughness it takes to create change. 2. Keys to Sustaining 5S (September 2011) – Tips to help sustain (the 5th ‘S’) the gains made from implementing 5S. 1. 5S in the Office (September 2010) – Previous Year Ranked #3 – Most viewed post for two straight years now. A look at using 5S in the office. What is going too far and how to use 5S in the office properly. I hope 2014 is a great year! Today is Thanksgiving Day. A great day to watch football, eat a large amount of food and enjoy the company of family and friends. Should All Customer Feedback Be Transparent to Others? Is all customer feedback accurate? Should all customer feedback be displayed? My first reaction was absolutely all feedback should be displayed. This is great transparency and help drive improvement. If you don’t want negative customer feedback then provide a good experience. I now have changed my tune a bit. I do believe that customer feedback should be transparent, even the negative. What I don’t believe is that all feedback should be displayed because there is some of it that is flat out wrong. It is one thing to have your business not provide a positive experience and actual events posted about that versus an experience that is just not the case. This is easier to monitor and see in small businesses. The ideal state is that no bad experiences happen and a customer never receives bad quality product. Unfortunately, that is not always the case. If a customer receives a product they are not happy with the provider should have a chance to correct the situation. In recent months, I have seen where customers are posting negative comments on small businesses that are flat out lies. Either talking about the business not working with them to correct a situation when the customer never even contacted the business to correct the situation or describing a defect that is not even physically possible with that product. Understanding unsatisfied customers is a great thing to help improve your business. False information that can damage a business is just wrong. So when using the customer reviews, you must be cautious with what you read. Understand all the feedback and try to make an educated decision. Heck. Even contact the business and ask questions to help you feel more comfortable. Research by UK performance improvement consultants Maritz has found that almost one in five of us (19 per cent) have never been thanked for our efforts at work while more than a third only hear those two little words once or twice a year. Perhaps not-entirely coincidentally, that’s about the same proportion as another recent survey found have no loyalty towards the organisation they work for and couldn’t care less about their job. Executives need to start thanking their managers regularly. Then they need to tell them to start thanking their people. Maybe we could get uppity and call it “Building a Culture of Thanks.” Clearly, it would be more effective and less costly than conferences and software. This is just a part of respecting people. Too many times, people get taken for granted even when they do great work consistently. It isn’t hard to say ‘thank you’. It takes two seconds and it can go along way in showing that you have noticed and you care. You respect their work and time. There was an interesting story a couple of weeks back about the use of HGH in Major League Baseball (MLB). It took years but there is finally testing for performance enhancing drugs, including human growth hormone (HGH). The part that was most interesting from a lean and metrics standpoint was about the base lining of HGH. Instead of using baseline data for the amount of HGH a person should have established by the World Anti-Doping Agency (WADA), MLB is establishing their own baseline. What is even more incredible is the MLB is telling players when they will be tested for the baseline. This is gaming the system to your benefit and missing the true intention of what is trying to be accomplished. This is why the principle of directly observing the work is so important. When you go and see what is actually happening gaming the system becomes harder because you see the finished product on the floor waiting for tickets or that players might be juicing up for the baseline test. A balanced scorecard and direct observation can help prevent gaming the system. Lean organizations work to develop people. Continually, helping people to improve their skills and give them new experiences. When you do this well, these people will shine and really make you shine. This isn’t just managers that have people that report directly to them. This is also for project managers that are managing people for a short period of time. By fostering the development and encouraging them to make choices with coaching and guidance, you surround yourself with good people. This makes work and projects go smoother and deliver the outcomes you desire. What are you doing to foster the people around you? How are you helping to surround yourself with good people?